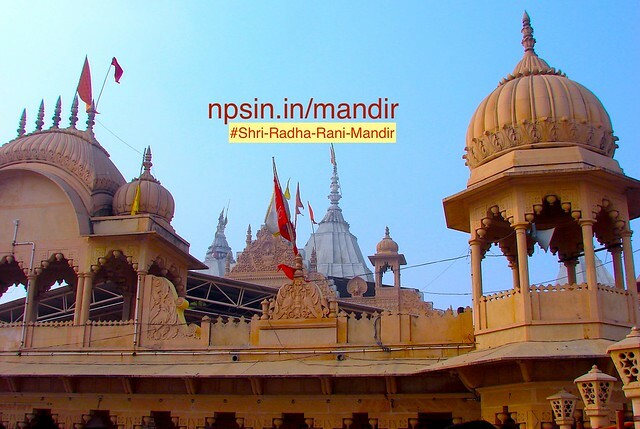 श्री राधा रानी मंदिर (Shri Radha Rani Mandir) is the first temple of Shrimati Radha Rani `the godess of Love` on the top of Bhanugarh hills. Barsana is her birth place, people call her Ladliji and Shriji therefore also known as Shriji Temple or Laadli Sarkar Mahal. 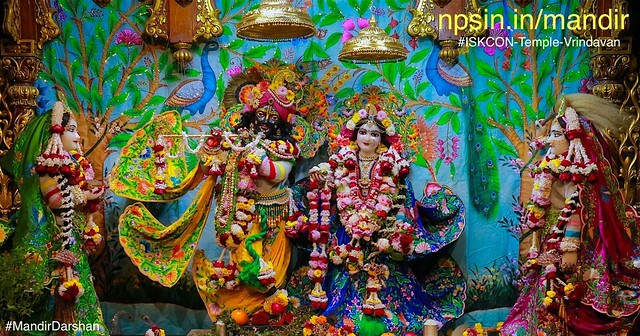 Holi and Radhashtami are the world wide famous festival of Ladli Lal Mandir. World famous Lath-maar holi(लठमार होली) celebration. 250 stairs high temple path. A top Bhanugarh, one of the four peaks of Barsana, is the famous temple of Shriji. This deity of Shriji, also known as Ladli Lal (The beloved one), were originally established by Vajranabh, some 5000 years ago but were lost later on. One very great devotee of Lord Chaitanya, Narayan Bhatt Goswami, discovered the deities just close by, and installed them here. The temple is a masterpiece of exquisite stonework with beautiful arches and domes adorning the palace. There are beautiful colorful pictures on the walls and ceiling of this temple, depicting the loving pastimes of Shri Shri Radha and Krishna. This temple is one of the most important places to visit in Vraja. All the Vrajavasis gather together at this particular temple to celebrate Radhashtami, the appearance day festival of Shrimati Radharani. 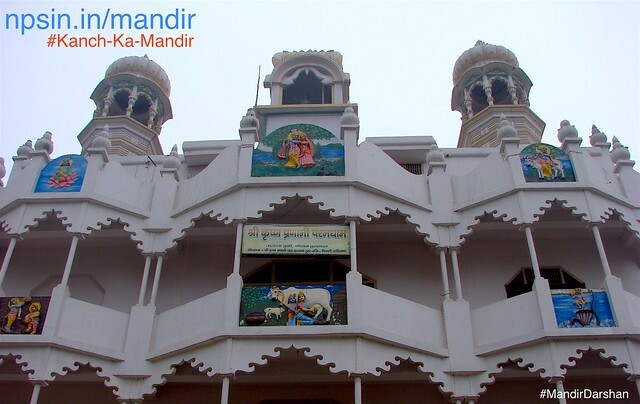 At the foot of the steps that lead to this temple is the palace of Vrishabhanu Maharaj where one can have darshan of Vrishabhanu, Kirtida, Shridama and Shri Radhika. 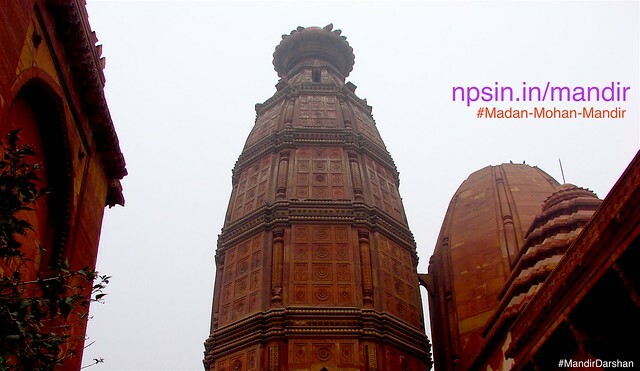 Near this palace is the temple of Brahmaji who is welcoming and blessing devotees going to take darshan of Ladli lal. Also close by is the Ashtasakhi temple where one can have darshan of Shri Radhika alongwith Her principal Sakhis (girl-friends). Barsana Gram also called Vrishabhanupur. 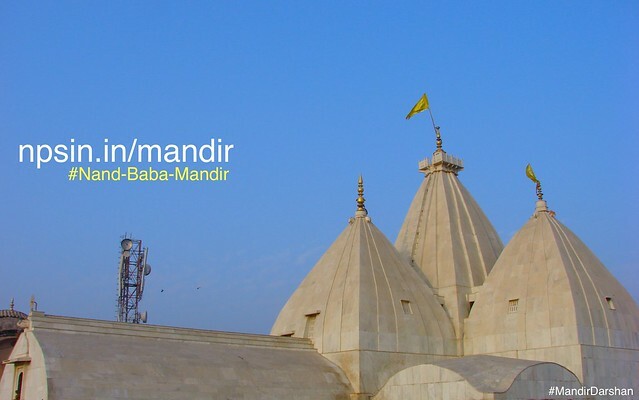 Barsana is birth place Radha Rani daughter of Shri Vrisbanu. The celebration of Holi is celebrated for 45 days in Barsana. There are four peaks of these hills- Bhangarh, Maangarh, Daangarh and Vilasgarh and each of these peaks is one of the heads of Lord Brahma. Famous and testy lassi(लस्सी) in kulhad(लस्सी कुल्हड़) available in all seasons. Testy pure milk tea also available at the bottom of the temple. Initially build by King Vajranabh. Follower of Lord Chaitanya Maha Prabhu, Narayan Bhatt Goswami re-build temple on Ashadh Shukla Dutiya.